Questions and answers | CrowdFarming - How often can I order products from my productive unit? All Categories ​>​ Order ​>​ How often can I order products from my productive unit? The order frequency depends on the CrowdFarming project you chose. If there is an even higher order frequency of harvests, as e.g for orange trees, you first determine the amount of fruits you would like to harvest beforehand during the adoption process (reservation of harvest). 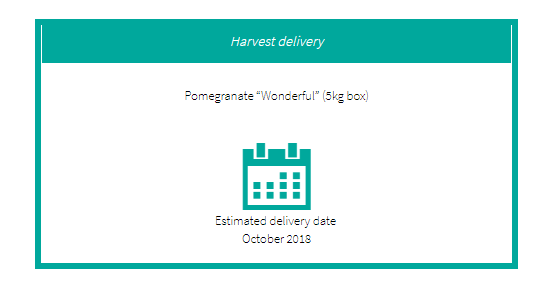 As soon as the harvest has started, you will be able to place the orders through your user account.